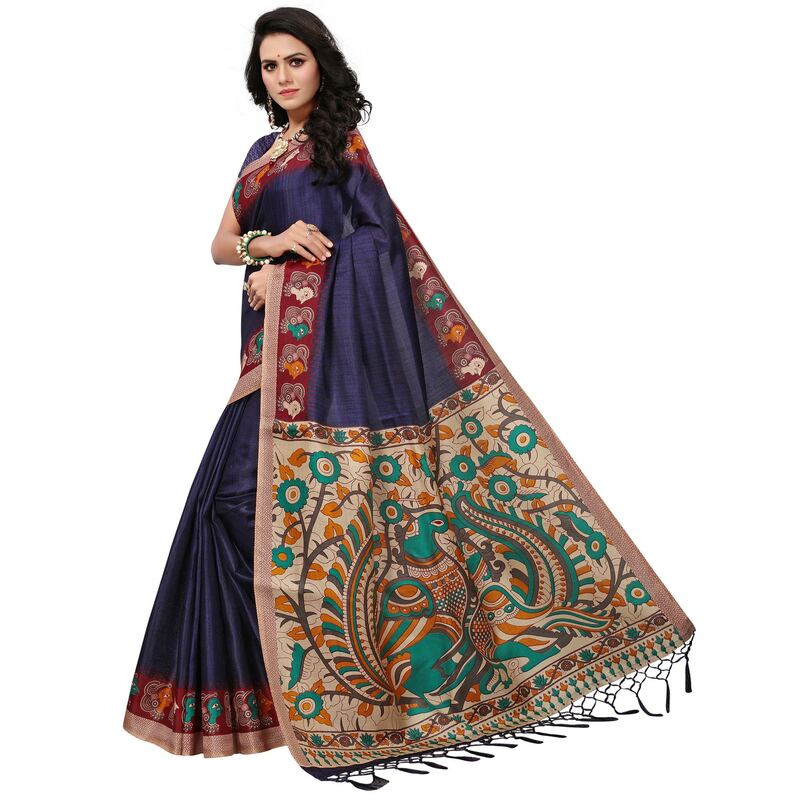 Splash a sensation of innocence and beauty with this surpassing dark purple colored saree. 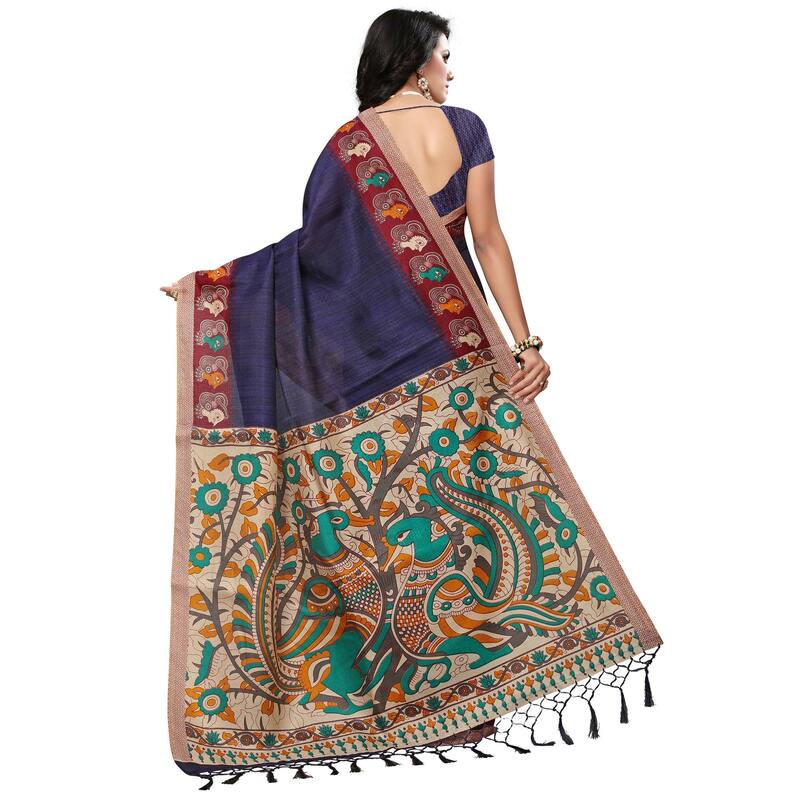 This saree is made of khadi silk fabric and it is beautified with attractive prints on border and pallu along with tassels as shown. 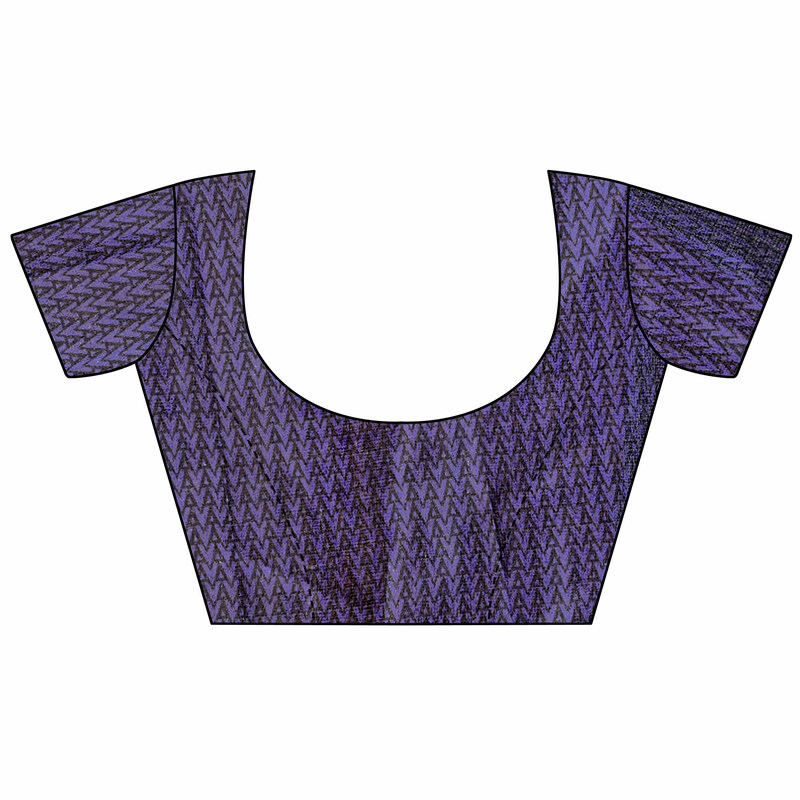 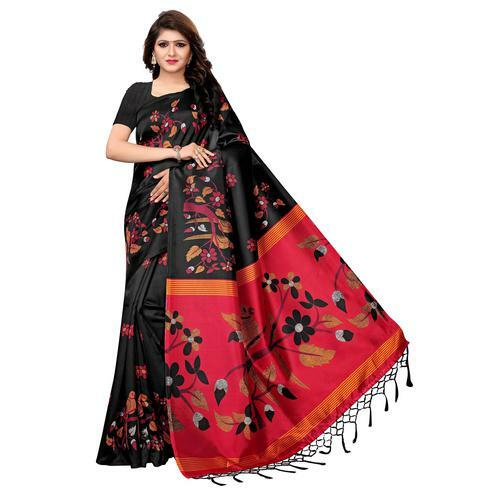 It comes along with matching fabric unstitched blouse piece which can be stitched as per your style & requirement. 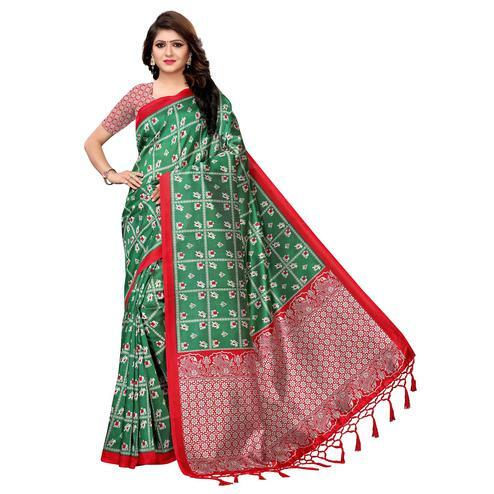 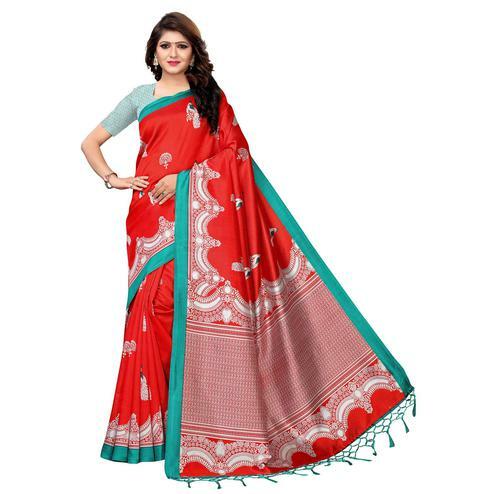 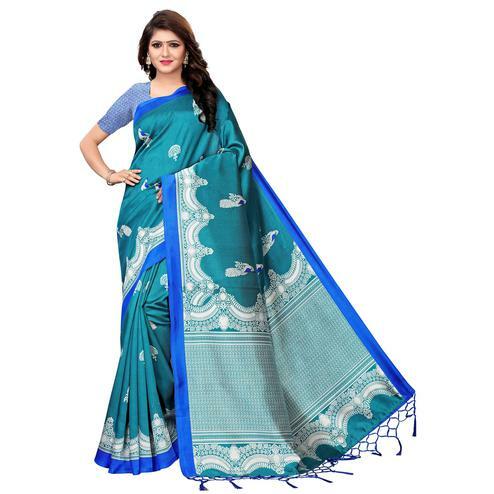 This saree is lightweight and soft towards skin which is easy to carry all day long. 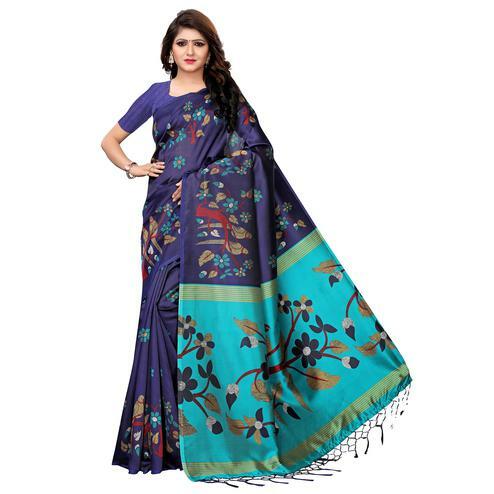 Team it with stylised accessories to make your looks more beautiful. 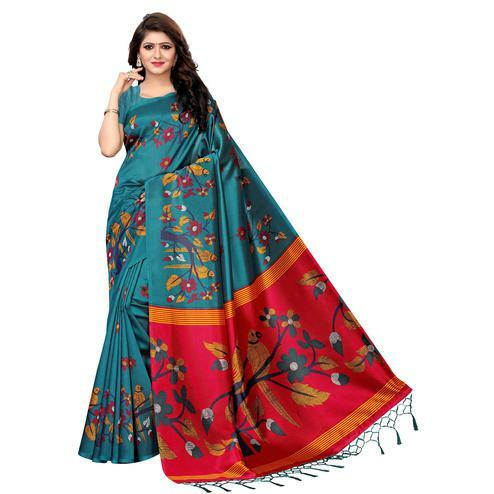 This attractive color saree would surely attract you showers of compliments when you wear it for weekend outings, office or any homely occasion.